I remember coming to Shanghai five years ago (yikes, has it been that long?) and thinking that it was a scary place in the daylight. Everyone spoke rapid Chinese, pushed past you and crammed you into the tiniest of spaces just to get ahead. But then, the night fell. Shanghai is still the most beautiful city to see at night, it's brilliantly lit, and at the right angles, looks just like something out of a dream. Our trip this time was really quick, only two days to go around on our own, but I'm really glad I was able to see a different side of this beautiful city! The Former French Concession We stayed in this neighbourhood for our trip, and it was such a shame that there weren't any leaves on the trees! 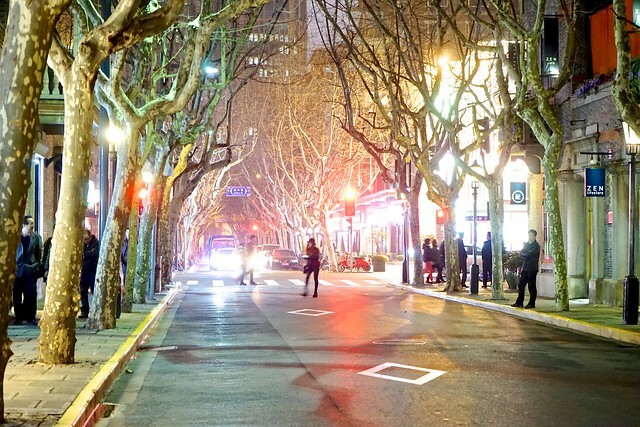 The Former French Concession actually reminded me a lot of Hong Kong, but with a bit more breathing room. The night was cold, and it was a lovely place to go for a walk. Shanghai has this thing were everything closes quite early (around 10 pm) so we tried to see as much as we could before they turned out all the lights. Huaihai Middle Road Not so much into shopping in Shanghai--everything was EXPENSIVE, yo. 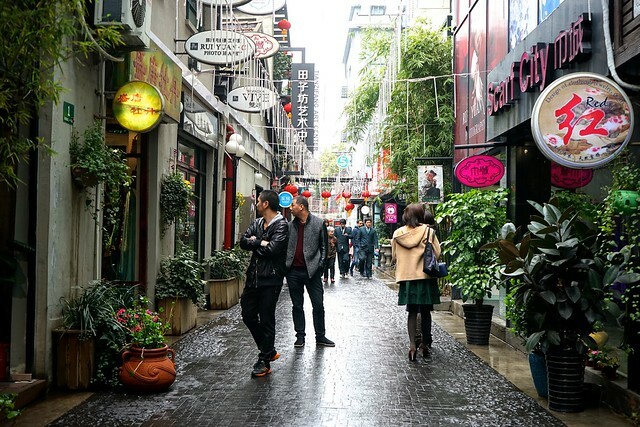 But if you wanted to get away from the crowds at Nanjing and enjoy a bit of retail therapy, Huaihai Road was a nice enough place. The building that houses H&M is this tall, beautiful thing with a three storey window, and it was again, nice to just walk around in and pretend that you can afford things. Haha. 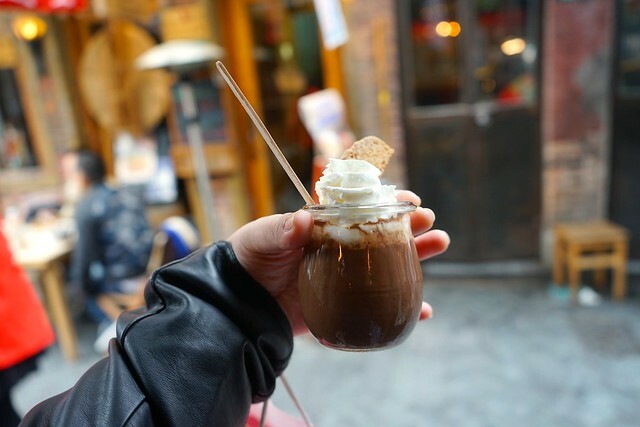 The way the Internet described Xin Tian Di, I thought it would be this huge place full of brick buildings, shops and restaurants in every crevice and corner. 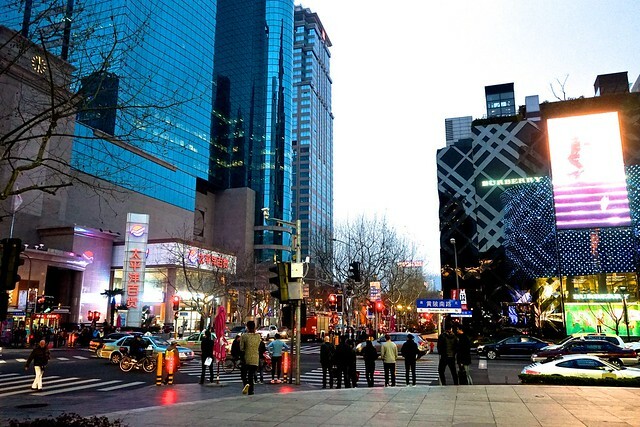 Xin Tian Di is actually just a small-ish plaza. Full of restaurants, yes and all made of old brick buildings. 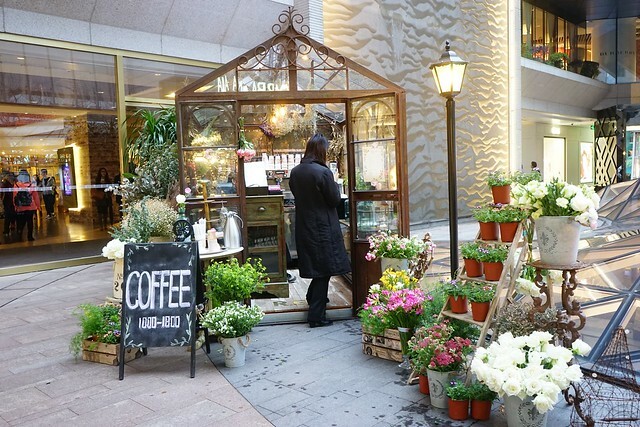 I would stop here just to have Starbucks and people watch, though. 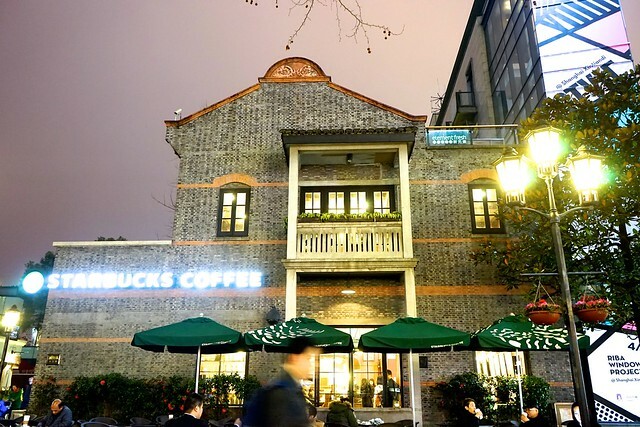 But if you keep walking down the street, you will find yourself in XIn Tian Di Style, a mall that has a Din Tai Fung, and a stationery that sells Rifle Paper Co goods! 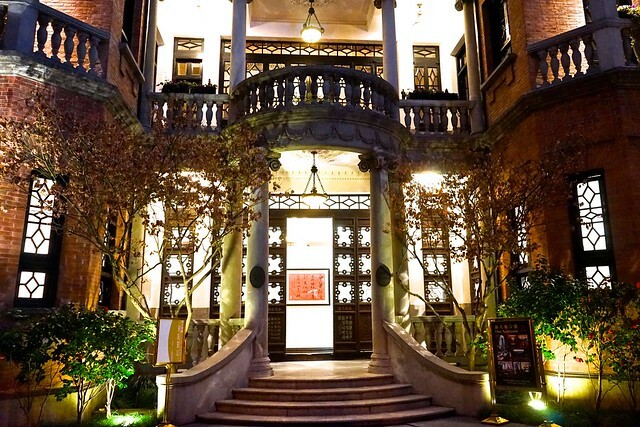 One of our new favorite spots in Shanghai! What happens when the government gives away spaces of old French brick buildings to local businesses? 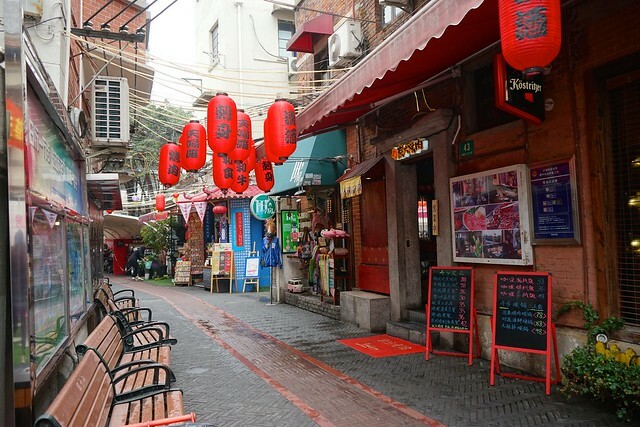 You've got Tianzifang, a packed but charming area near Dapuquiao station. Now this is the area crammed with shops and restaurants in every corner. A lot of people say it's too touristy, but I love the artsy, small time vibe of the area. 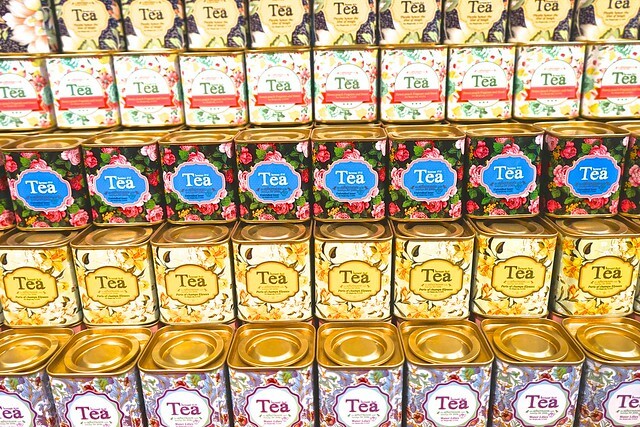 Here we bought tins of pretty tea from Tea House (look for the blue signs! ), decorated tiles, small trinkets and snacks. The area is a bit unorganized, so be prepared to get a bit lost in all the jumble. But you'll love it, I promise! 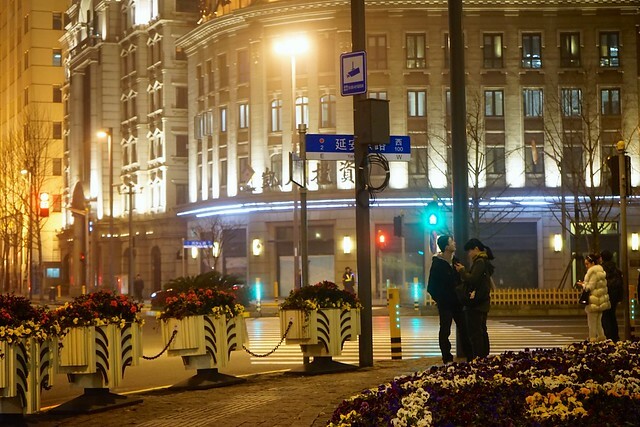 Remember how I said that Shanghai is brilliant at night? The Bund is the greatest proof of that. 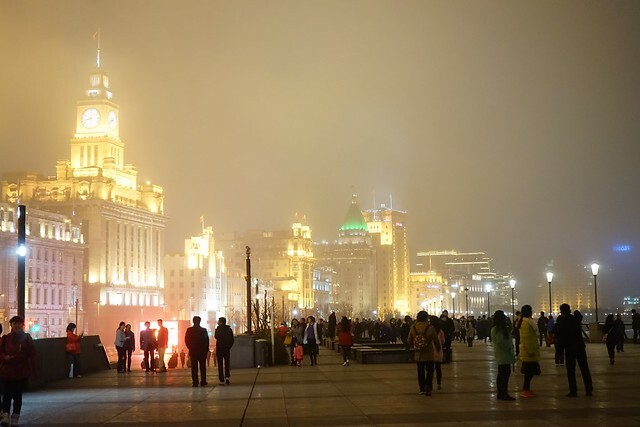 Even in the middle of the most dense fog I've ever seen, people still flocked to the Bund just to see these beautiful old buildings lit up. We had a nice dinner of meat and poutine at Tocks before taking a short walk to this riverside area. We'd already seen the space-age buildings over on the other side five years ago, so seeing the Bund now was a nice change. Our last stop in Shanghai was actually at this Daiso-like store along East Nanjing that sold EVERYTHING for 10 RMB. I bought an iPad case, a tea infuser and a massive pack of wet tissues. I can't remember the name of the store, but you can't miss it because of the crowds!